The backswing is a very important part of the golf swing. It truly sets you up in positions that your body can properly unwind into the ball. If done improperly, even if you know the proper downswing, it might be very hard to get down to the ball correctly. Probably the most common error of the amateur golfer in the backswing is the proper amount of turn in the shoulders. A good shoulder turn gives you the necessary time you need to do the things that happen in the down and through swing to hit the ball properly. 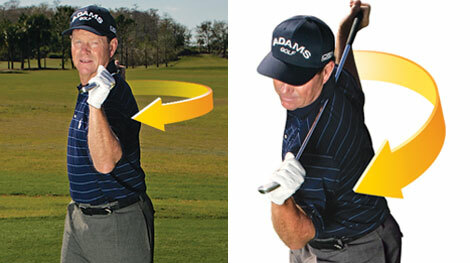 One of the keys to a solid golf swing is a level turn of the shoulders and hips during the backswing. A solid rotation not only promotes consistent ball-striking, but lays the foundation for achieving maximum distance as well. 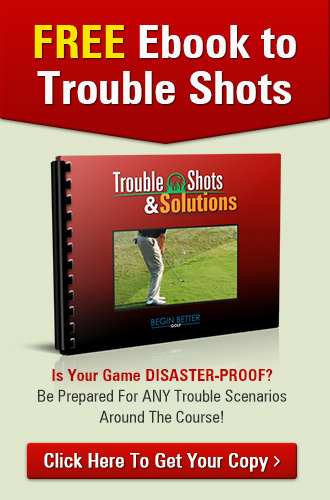 Unfortunately, instead of utilizing a level turn to increase the quality of their shots, many amateurs execute a poor turn either by lifting, tilting or swaying during the backswing. Any one of these motions will not only move the club off the proper plane, but destroy three key angles established on the right side at address. These angles, formed at the right shoulder, hip and knee, must be maintained in order to deliver the club powerfully into the back of the golf ball. Watch any power hitter and you’ll see that, at the top, the shoulders are turned, but level.